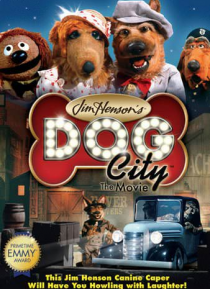 Directed by Jim Henson, this parody of the film noir gangster films takes us through the busy but dangerous town of Dog City, teeming with colorful Muppet Dog characters. Rowlf the dog is your guide through the underside of canine life during the 1930's in Dog City. Our hero, Ace, enters the world of bulldog gangsters and terrier molls when he inherits a saloon, "The Doghouse," from his late Uncle… Harry. Unwilling to pay protection money, Ace finds himself the target of Bugsy, a bulldog bully who owns most of Dog City, and also happens to be one of the foremost proponents of senseless violence. Ace also comes nose to nose with a beautiful runaway Collie named Colleen. Colleen and Ace team up to take on Bugsy and his thugs in the tumultuous, dog-eat-dog world of Dog City.